This is a thorny topic and one I find myself contemplating at least once a year. Ove the last decade of being a full time professional garden designer I have been asked at least once a year if not more, along with many other people I suspect, to design a garden or outside space for free, or in some cases for ‘valuable market placement’ by what instagrammers call ‘influencers’. Of course one has to judge whether these so called influencers will really influence anyone to actually pay for your work down the line or whether in fact they are simply getting something great at your expense. Sadly lots of us garden designers do not value our skills and are happy to give them away for any percieved gain whether it be real or not. One of my biggest frustrations is my own industry body who is meant to champion garden design and all those who work in the industry. That it would appear is not always the case. Again at least annually a round robin will drop in the inbox offering ‘great opportunities’ to work for free for some random who has contacted them about free design work or indeed to work for them for nothing – apparently it’s called ‘volunteering’. Why they don’t send such requests back with a sharp note that designers, on the whole, need to pay bills just like everyone else? But no out they come and if challenged, I have been told “people want to voluteer, they like ‘giving back’ “. Annoyingly, for me at least, this simply sets a precedent from the supposed thought leader that design has little or no value and those trying to make a living at it should be grateful for any opportunity, paid or otherwise. 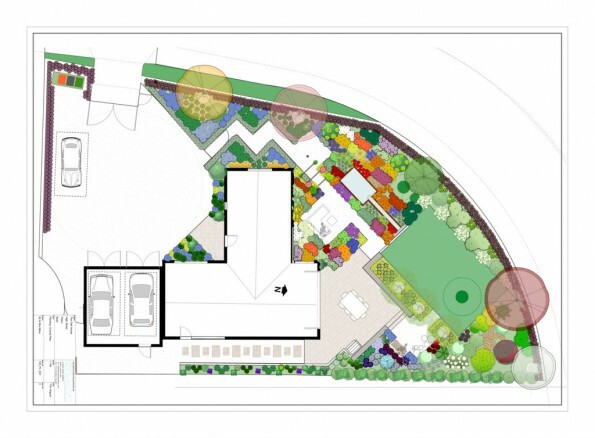 A few years back a high profile restauranteur ran a competition with the SGD to design a new section of the gardens near their restaurant. It was prestigious and the winner was well deserved, and a fabulous garden was designed and built. I saw it on a rare extravangant lunch party out and it was much admired by all. I learned subsequently that the ‘fees’ for this competition work was far below general market value. Overseen by the industry body. So one asks what was their motive? to champion the value and skill of the designer(s) or to have yards of good marketing for themsleves? I have been asked directly to design a supplier stand at RHS Chelsea, with plants etc funded by my business and the plants then ‘given’ to the company worthies or gifted to their valued clients – I kid you not – oddly I said ‘no thanks ‘ as I choked on my cuppa! I have been asked to gift full designs with planting (no limits on size/time frame) for charity auctions and asked to design ‘prestigious gardens’ for business, one even expected me to maintain it for free too – good advertising I was told. Even writing this makes me a little bit livid inside. This week I have gifted a half day garden review for a great friend who on top of his incredibly busy work life runs a popular annual event for a charity close to his heart. He didn’t ask, I offered because whilst I want to be valued for the work I do to make a living, like most people I like to be generous if I can. Do you feel undervalued by your industry representatives? How have you handled it? Did you start up something alternative?